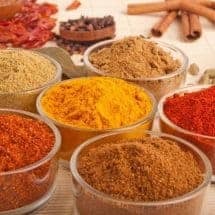 I call Ras al Hanout the Moroccan version of Indian Garam Masala–a ubiquitous spice blend that can be used on meats and vegetables to grill, braise, stew, or air fry. There are probably as many Ras Al Hanout recipes as there are people who make it. Much like Indian Garam Masala, families have their own ways of making Ras Al Hanout. 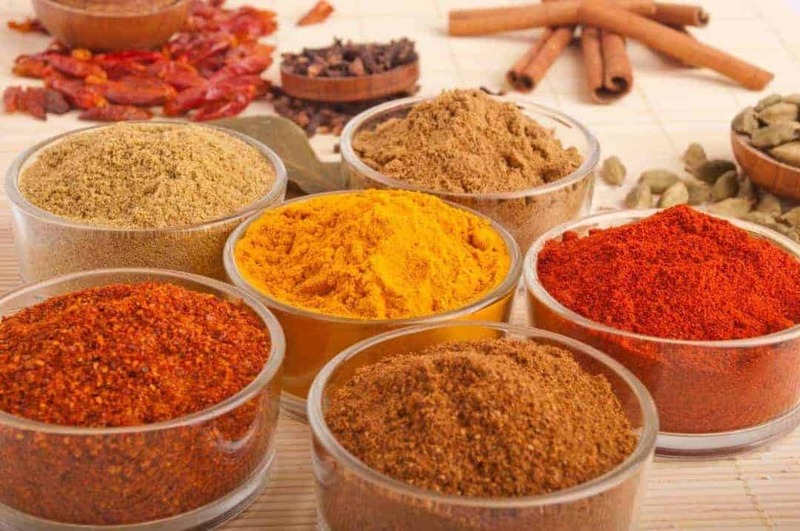 WHAT IS RAS AL HANOUT? It is a blend of the best spices in the house–sort of like ordering a Top Shelf Margarita. It means “head of the shop” or the best spices available. Ras el Hanout is a spice blend, that combines aromatics spices and sweet spices into one melange that keeps ou from having to reach for several different spices when you cook. You can use it in marinades, as a rub, as a seasoning in many dishes like stews and tajines. I also use it to air fry vegetables. I call this the Moroccan version of Indian Garam Masala--a ubiquitous spice blend that can be used on meats and vegetables to grill, braise, stew, or air fry. Mix together all ground spices, and store for up to 4-6 weeks. In your Keto Instapot cookbook you reference “spice mix” with specific ingredients. Is there a recipe for this mix? This seasoning looks delicious. I have a recipe that calls for Baharat. Is this similar or can it be substituted? Help my confusion please!!! Thanks!